Designed in Acura’s Los Angeles Design Studio, the TLX joined the luxury brand’s lineup starting in 2014. The replacement of the TL and TSX sedans, the Acura TLX has been the brand’s midsize sedan option for four strong years. 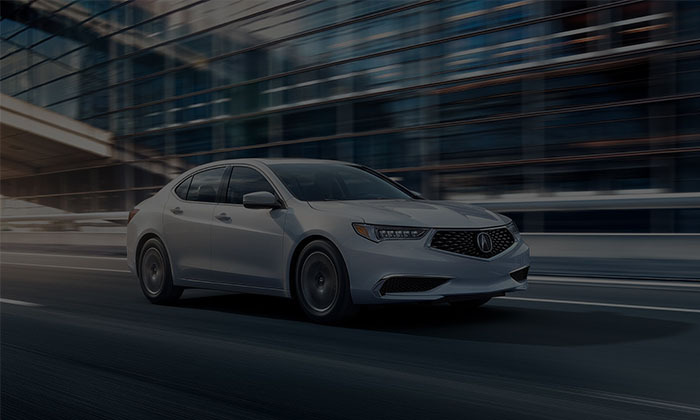 Designed, built, and assembled here in the United States, the Acura TLX is the all-American sedan that is perfect for families, as well as busy, hard-working professionals. Featuring a starting MSRP of $33,000*, the 2019 Acura TLX is one of best options in the luxury midsize sedan segment. The 2019 TLX A-SPEC package (shown in Still Night Blue Pearl) has a starting MSRP of $42,800*. Refreshed for its latest model year, Acura’s luxury TLX has has something for every buyer in this premium automotive segment. As one of the newer members to the Acura lineup, the TLX was not up for a complete redesign this year, but it did receive plenty of important updates to keep it slated as one of the most technologically advanced and well-equipped luxury cars in its class. 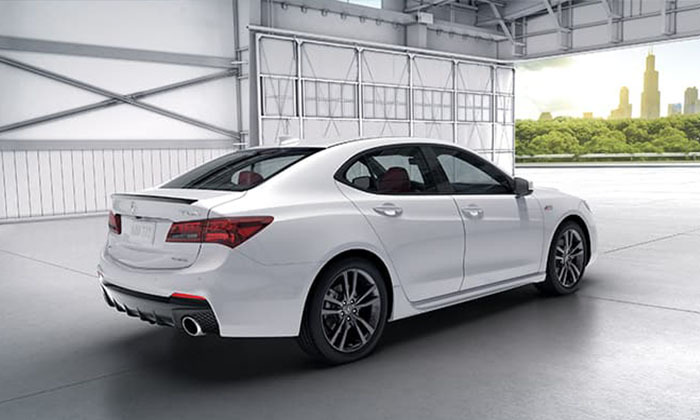 Boasting a more sporty and aggressive exterior appearance, the 2019 TLX comes loaded with premium features and brand new enhancements that keep the competition on their toes. The most striking difference between last year’s TLX and the restyled 2019 version, is the exterior appearance. Bold new styling details inspired by the Acura Precision Concept, give the TLX a sportier appearance, while a new diamond pentagon front grille gives the luxury sedan a unique, interesting look. As bold and as captivating as these changes are, they are conservative enough to not go out of style. Timeless and tasteful, the latest version of the TLX commands your attention, without going overboard. The base 2019 TLX comes with more standard features and technology than ever before. Newly added standard features include Apple CarPlay, Android auto, and AcuraWatch active safety technology. This intuitive safety suite includes advanced safety and driver-assist technologies aimed at fulfilling Acura’s mission to keep drivers safer behind the wheel. 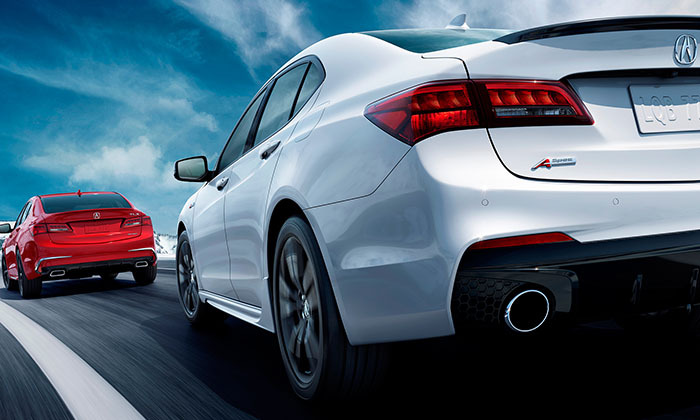 New to the Acura lineup, is the new AcuraWatch suite of advanced safety features. In addition to the already long list of standard safety equipment, the AcuraWatch adds a collision mitigation braking system, adaptive cruise control with low-speed follow, lane keeping assist technology, and road departure mitigation. Acura’s commitment to driver and passenger safety in their vehicles has earned the 2019 TLX the highest 5-Star rating from the National Highway Traffic Safety Administration. The 2019 Acura TLX has plenty of standard amenities, but car shoppers can add packages to the luxury sedan to boost it’s list of included features even more. Buyers who opt for the V6 TLX and add the Technology Package will gain new standard features like chrome side sill trim, a power thigh extension on the driver’s seat, and new seats designed with contrast stitching and piping. The Advance Package was also upgraded for 2019, and now includes a multi-camera parking system, trapezoidal LED fog lights, a wireless charging pad, heated steering wheel, heated rear seats, power-folding side mirrors, LED ambient lighting, and a rear spoiler. Exterior Design: Aggressive in appearance and designed for ultimate on-road performance, the A-SPEC features a piano-black rear spoiler, dual exhaust outlets, dark chrome LED tail light details, and a rear bumper with piano-black diffuser. Finally, large 19-inch Shark Gray Split five-spoke wheels enhance the aggressive styling of the A-SPEC. Interior Design: Inside, the 2019 TLX A-SPEC features a sport-inspired cabin centered around the driver. Unique details include an aluminum footrest pad, brushed aluminum metal-look trim, A-SPEC badging, and a black headliner. A-SPEC seating offers a distinct look, and unparalleled support. Buyers can choose from Black Alcantara or premium Red Leather seating surfaces, along with contrast piping and stitching. Illuminated red accents come to life thanks to specialized ambient lighting, which bring comfort and style to passengers of the sedan. The 2019 TLX A-SPEC package can only be added to the V6 model of the sedan when it is equipped with Acura’s Technology Package. This state of the art inclusive package adds a long list of technology and convenience upgrades including an ELS Studio Premium Audio system, intuitive navigation, exclusively designed leather seats, Driver Assistance safety features, GPS linked climate control, and rain sensing windshield wipers. With a starting MSRP of $42,800, the 2019 TLX A-SPEC is a premium midsize luxury sedan that is well within reach. As a luxury midsize sedan, the 2019 TLX offers three different engine options for drivers who are looking to hit the ground running. As important as the engine is on the TLX, there are a lot of other moving parts that give buyers of this luxury sedan an unparalleled experience from behind the wheel. An Integrated Dynamics System includes ECON, NORMAL, SPORT, and SPORT+ modes, that tailor your ride to your exact needs in the moment. The available Super Handling All-Wheel Drive system distributes power from the front of the sedan to the rear, while simultaneously allocating rear power from side-to-side to assist the sedan with turns. Sensors placed in each of the four wheels analyze individual wheel speed, lateral G-force, and the car’s steering angle for ultimate performance handling.